Access control system is an important part of modern security, access controller as the core of the composition, quality and performance directly affects the stability of the entire access control, thereby affecting the security access control system reliability. Misunderstanding and purchase recommendations below with a look at the access probe system! Mistake 1: Imported access controller would be better. Imports controller product stability and maturity are good. But the price is expensive, and because the gap between the region and the timeliness of service will be bad, but the high cost of service. At the same time, due to differences in cultural backgrounds, needs and requirements of foreign customers access management control, and the situation in China is different. 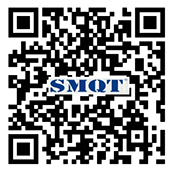 Many functions do not fit China's national conditions and the needs of Chinese users. Of course, many Chinese manufacturers of access control small-scale production, design capability is weak, less successful application cases, contractors are advised to choose carefully. China Access Controller Many manufacturers, in order to sell their products, the name of Taiwan, USA and Canada and other countries under the guise of manufacturing fraudulent sales, in fact, product quality has a big problem, this phenomenon Contractors should also be treated with caution. Mistake 2: The more extensive the better reader compatibility. Some controllers claim to be compatible reader in various formats, such as 485 format ABA format wiegand26/34 format card reader, in fact, not necessary, although there is an advantage in some of these formats on the local, but not in line with international standards, after the upgrade and expansion of interference caused trouble, we insist on practical and stable standard is the best policy, it is recommended that you only need to meet international standards wiegand26bit reader will be able to import 90% of the access controller is in line with this standard. Mistake 3: The more powerful the better. 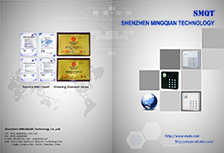 Many domestic controllers to promote its goods and how how powerful, exaggerated the role of access control functions, in fact, for the stability and access control functions simple and practical is the most important. We recommend shielding powerful extensions, customers need only provide to meet their needs, some customers do not have the function should not be recommended to customers, so you can make the cost of training and reduce maintenance costs, it is also desirable customers with . Mistake 4: The more expensive the better price or a price cheaper the better. Good quality products is the best product. Your product may be because his production is not high, or too high cost of advertising is not necessarily very high product value. Cheap products, there may be one-sided pursuit of low-cost manufacturers, to reduce the input protection circuit, or poor selection and used chips. Contractors must keep their eyes open so the product performance and low cost to make a reasonable assessment. Recommendation I: buy and self-test with anti-crash circuit design Access Controller. If the access controller crash, so that the user will not open the door or shut the door, great inconvenience to the customer, but also increases the project's maintenance and maintenance costs, access control must be installed or reset the chip selection CPU with reset function, generally 51 series CPU does not have a reset function, you need to install a reset. At the same time, you must have self-test function, if the circuit because of interference or abnormal crash situation, the system self-test and can be performed in an instant from the start. Recommendation II: with three lightning protection circuit design Access Controller. Since access control communication lines are distributed, vulnerable to the invasion of lightning, so access control must be mine design. We recommend three lightning protection design, the first freed by the lightning discharge generated by high current and high voltage, current and voltage clamp circuit through the inductor and resistor into the circuit. The residue is then high-speed discharge current and voltage in the circuit before damage to its generating a high speed to discharge through the TVS. Lightning 4000V lightning index requirements for 50 consecutive equipment without damage. Lightning indicators of high anti-surge device, antistatic ability will be correspondingly high. Some products also have to promote their ability to 1500V lightning, in fact, this indicator is to have all the chips itself, does not have the ability to lightning and surges. Recommendation III: Registration card privileges to a large amount of storage, offline storage records should be large enough to require the use of non-volatile memory chip memory chip. Proposed registration card authority needs to reach 20,000, an offline store records reached 100,000 best, so can fit most customers requirements for storage capacity, facilitate attendance statistics. Be sure to use non-volatile Flash memory chips, power-down or under attack information is not lost. If RAM battery models employed, if the battery is dead or loose, or by current impact information may be lost. Access control systems, there may malfunction. Recommendation IV: The application should be simple, practical, easy to operate. If the application control program, will undoubtedly increase the engineering business customer training costs and time, the customer is not easy to master the operation of the software will vent their anger on the project's service attitude bad effect on the collection and renewals will. Customers do not understand the software can easily lead to misuse, causing practical inconvenience. Therefore, we must pay attention to the choice of the proposed works access controller software operation is simple and intuitive and convenient. One-sided emphasis on the powerful is not suitable for promotion. Recommendation V : design communication circuits should have self-test function for large networked system requirements. Network Access Controller 485 commonly used industrial bus network structure, usually many manufacturers from cost savings considerations, the choice max485487 or 1487 chips, which load capacity is weak, usually a maximum load capacity is 32 sets of equipment, and if the bus if there is a communication chip damage will affect the entire communication line newsletter, and you can not find exactly what station controller chip damage. We recommend similar max3080 high-grade communications chips and integrated circuits. The circuit includes a self-test function, if the chip is damaged, the system will automatically disconnect the connection to him, so that the control device on the bus the other normal communication. Recommendation VI: better to use well-known brand of high-power relay, and the output of a current feedback protection. Access controller output is controlled by the relay. When the controller operates the relay to the frequent opening and closing, opening and closing of each time there is a transient current. If the relay capacity is too small, transient current may exceed the capacity of the relay, the relay will soon damage. General electric lock relay capacity should be greater than the peak current of more than 3 times, suggested the use of 7A rated current of the relay. Output terminal is usually connected to electric locks and other high-current inductive devices, instant-off will have an impact feedback current, the output terminal should have a reverse diode or varistor and other components to be protected. Recommendation VII: the agent recommends that contractors find the controller manufacturer or specified by the manufacturer for later. Only specified by the manufacturer directly to manufacturers or agents may have buy or improve a strong technical service, and improve after-sales service is guaranteed, and there are credible follow-up research and development capabilities, to ensure that products can have continuity and advanced. The controller may have a lower purchase price from other sources, but the technical support and after-sales service may not be enough. Recommendation VIII: Reader input circuit requires anti-surge, anti-misconnection protection. When construction contractors, are often charged for wiring or commissioning, it may be due to accidental negligence, wrong or careless reader line cause local short circuit. If there is no anti-surge and anti-wrong connection protection, it is easy to burn a central processing chip, causing damage to the entire controller failure, you need to return the factory maintenance, may delay the construction period, increase construction costs. Good protection can be made even when the power is connected reader data terminals will not burn out the circuit, the reader can be avoided because of quality problems affect the normal operation of the controller through dynamic voltage surge protection.